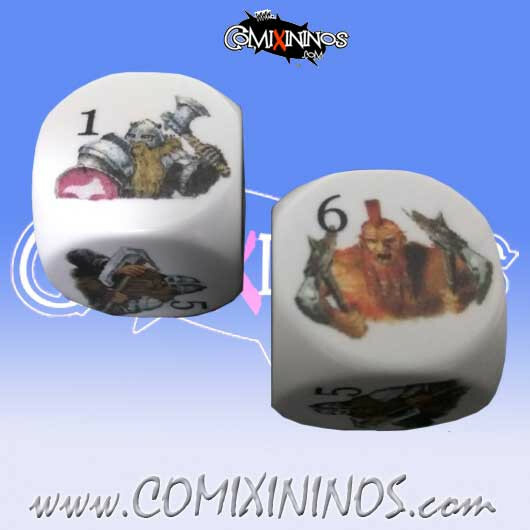 Set of 2d6 Dwarf Dice. If you are a real Dwarf coach, these are YOUR dice. The dice are brand new, never used before. The internal drawings are printed. 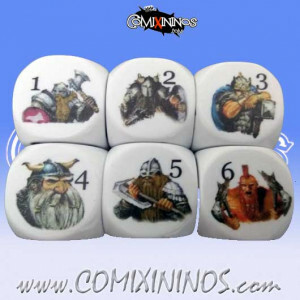 This item includes two dice. You can see the 6 sides of the dice on the second image.